Dublin / Prague, 1 December 2014. The Platform of European Memory and Conscience will be opening its travelling exhibition “Totalitarianism in Europe“ in Dublin on Tuesday, 2 December. 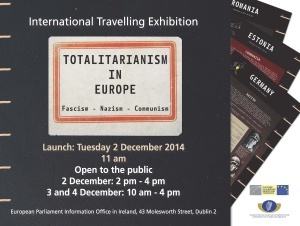 The exhibition is hosted by the Irish Department of Justice and Equality at the European Parliament Information Office and it will be opened by Mr Aodhán Ó Ríordáin TD, Minister of State with special responsibility for New Communities, Culture and Equality and Mr Göran Lindblad, President of the Platform. 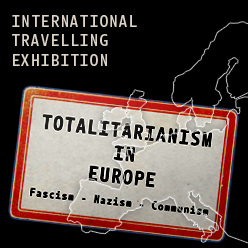 “Totalitarianism in Europe“, the first international educational and awareness-raising tool of the Platform, was launched in Bratislava in September 2012. 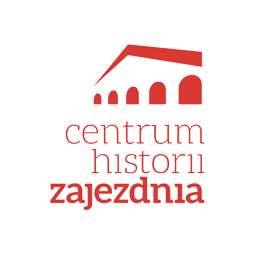 Ireland is the thirteenth country where the exhibition depicting the statistics of civilian victims of the gravest crimes of Nazism/Fascism and Communism from thirteen countries of Europe, as well as the statistics of the prosecution of perpetrators, will be presented. “We are particularly pleased that the exhibition has now crossed the continent to its Western side and that schools will be coming to see it in Dublin. We must do as much as we can to raise awareness about the oftentimes unknown totalitarian crimes of the recent past. This is important particularly today when EU Member States need to make informed decisions in the international crisis and we thank the Irish Department of Justice and Equality for taking the issue of common European history seriously,“ says Platform President Göran Lindblad.